The WeatherTechAll-Weather Floor Mats are made out of an odorless compound, that have deeply sculpted channels designed to trap water, road salt, mud and sand.Our proprietary engineered resin ensures that these mats will not curl, crack or harden in sub-zero weather. 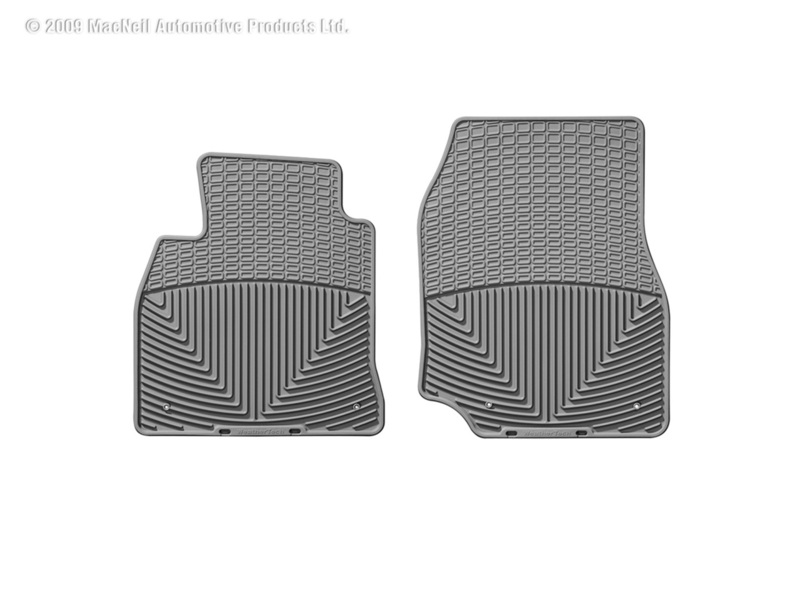 Our All-Weather Floor Mats also have anti-skid ridges to prevent shifting in your vehicle and come with a protective, non-stick finish to make cleanup quick and easy.WeatherTechAll-Weather Floor Mats meet FMVSS302 and are manufactured to ISO 9001 standards, your assurance of quality.Choose from Black, Tan or Grey to complement virtually any interior color. Rear mats are designed to be trimmed so that they may be customized to fit almost any vehicle.Please take your old floor mats out before installing your new WeatherTechfloor mats.All-Weather Floor Mats were intended to give the best possible protection for your vehicle floor.Many of our front mat applications are vehicle specific, while others are determined to be the best possible fit for the application from our many shapes and sizes.Please note that the on-screen color representations are not necessarily precise representations of actual product colors due to variance in monitor calibrations. WeatherTechAll-Weather Floor Mats meet FMVSS302 standards. Proudly designed, engineered and manufactured with American made tooling in the USA. Guarantee – WeatherTechAll-Weather Floor Mats are guaranteed against defects in materials or workmanship for 10 years from the date of purchase. Exclusions to this warranty are wear due to severe abrasive conditions and chemical contamination, such as spilled gasoline, bleach, etc.We are reasonable people and we believe in customer satisfaction.Depending on the situation, we will either replace your All-Weather Floor Mats at no charge or charge you a prorated amount for a replacement.